August 22, 2018, St. Louis, MO—Safe Connections blogger Lisa Simani caught up with survivor Zinia Thomas, owner of Radiance Float + Wellness in Brentwood to talk about how Zinia helps survivors of abuse alleviate their anxiety and other symptoms of post-traumatic stress disorder (PTSD) in a very unique way. Zinia’s unconventional wellness business just made it to their one-year anniversary. They offer services ranging from cryotherapy and infrared saunas to hydromassages and more. Float therapy–where you rest in salt water to create a state of sensory deprivation–is one particular treatment that can go a long way in helping with recovery after trauma. Almost from the first day Zinia opened Radiance, she has been partnering with Safe Connections to provide free floating to our clients. Q: Tell me about what prompted you to open your unique wellness business? A: I am a survivor of domestic violence as well as a psychiatrist. I knew I didn’t want any of the conventional treatments that I was trained to medicate people with who were suffering from anxiety. 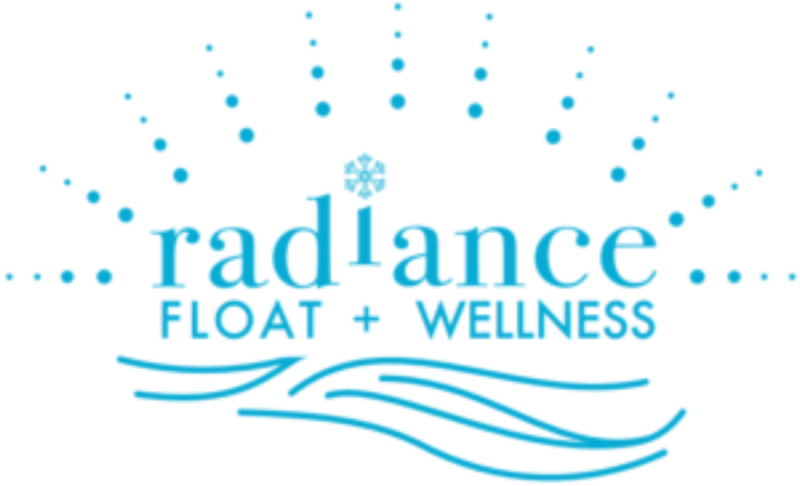 I researched ways to provide effective, relaxing, enjoyable services together to optimize mental health and physical recovery at Radiance Float + Wellness. Q: Tell me about what floating is? A: Floating provides sensory deprivation, thus allowing you to relax in a tub of salt water that matches your body temperature. The float tank contains 6-12 inches of sterile water with 1,000 pounds of medical-grade epsom salts that helps anyone float with ease. Lack of stimuli in the tank allows your brain to confront suppressed memories with less traumatic effects. At the same time, without stimuli, the brain is able to focus its physical and mental energy towards healing. We have 3 float “pools,” while not completely open, each is a 5’x8′ tub basin with a 7′ ceiling. LED starlights on the ceiling change color to add a chromotherapy effect. There is a door that can be kept open for comfort as well. In all 3 tubs we have a 2-way intercom communicator. I wanted this feature to be able to do therapeutic sessions, while the client can maintain privacy in the tank. It’s also a good feature to be able to “talk down” someone that might be having issues in the tank. Q: What are the benefits of floating for PTSD? A: Current research has found that after just 1 float, participants reported significant reductions in stress, muscle tension, pain, depression and negative effect. This is accompanied by a significant improvement in mood, characterized by increases in serenity, relaxation, happiness and overall well-being. Click here for the full article. Q: Why have you decided to extend your offer for a free float for people with PTSD from Domestic Violence? A: We started offering this service last October as part of Domestic Violence awareness month and decided to keep the special ongoing because survivors were reporting great benefits from stress, anxiety, panic, pain, sleep and more. We want to extend our treatments to be accessible to all and have decided to offer multiple sessions as well. When I was healing I floated weekly for about 2-3 months. Q: How does someone get the free float? A: Call or register online with the code “SURVIVOR”. No questions asked to maintain privacy.